Like the first edition, the book is a brilliant resource for learning LEGO building techniques. The book begins with the basics and slowly builds to more advanced techniques. Starting simple by teaching what the different pieces are and how to assemble bricks properly to build a strong foundation gives even the first time LEGO builder the necessary tools that are required to work the way up to building houses, cars, and space shuttles. The Unofficial User’s Guide teaches techniques for building for minifigure size, miniland size, sculptures, mosaics, and anything else your imagination can conjure up. The book shows not only how to build all these things, but how to design them as well. From using computer programs to simple graph paper and pencil, the tips and lessons contained in the book are valuable lessons for beginning builders, but advanced builders and AFOLs can definitely pick up some knowledge in the different chapters of the book. The most useful section for me as a builder is the appendix entitled the Brickopedia. This addendum to the book is a listing of every available LEGO piece available, along with a part number that makes it easier to order them from websites online and notes about each piece. When needing to know about available pieces, it’s an invaluable resource and a great way to do a quick reference. To me, the strongest advantage over the previous edition of the book is moving from black and white to color pictures. The images in the book are crisper, cleaner and easier to make out details when trying to learn building techniques. By using more obvious variations in color in the diagrams and pictures, it makes it reduces the complexity of replicating and learning how to do specific building techniques from the book. 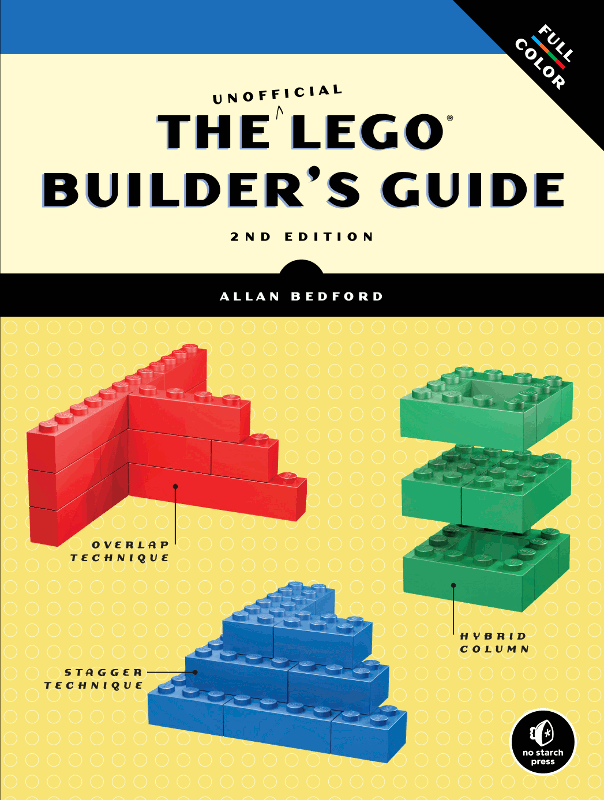 Overall, The Unofficial LEGO Builder’s Guide, 2nd Edition is a book I can’t recommend enough for someone who wants to learn to build custom LEGO sculptures or wants to learn how to improve the ones they already build. The first edition was a commonly used reference for me when building in the past, and I can’t see the second edition being any different.